Get rid of those Sunday night blues & get ready to have a productive week! 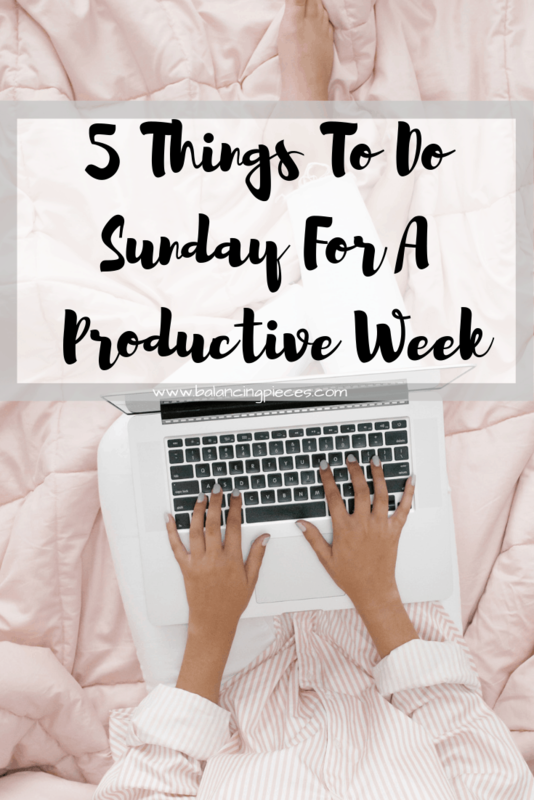 Here are some productivity tips and tactics that you can do on Sunday to set you up for a more productive week. Doing these 5 tasks will allow you to relax & having a more productive week! Check the weather for the week: This will help you to know what outfits you will wear, what laundry needs to be done and what amount of time you need to give yourself to get somewhere. Reschedule anything that can be rescheduled if the weather isn’t permitting the event. This will help prevent any last minute changes and missed opportunities. When you have a little one a day of errands in the rain is the last thing you want to do. I sell items on my website so I am at the Post Office usually at least once per week. I have discovered that 10:30AM is the best time for me to go. This avoids the morning crowds and gets in before the lunch break drop offs. I also know never to go on a Monday. Monday’s are the busiest at Post Offices so I try to make it later in the week. Start your laundry: Pull the sheets off your bed, grab all your towels and your basic essentials. 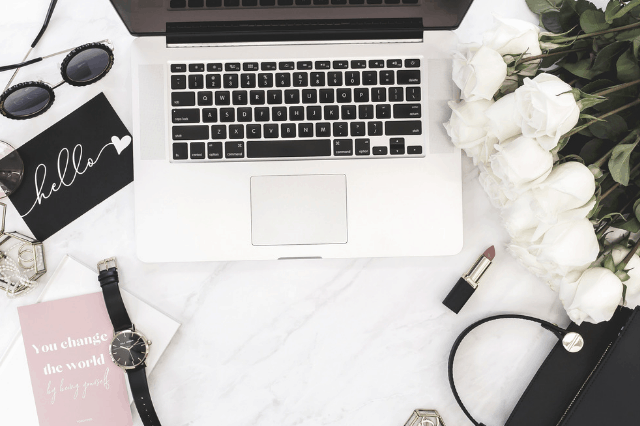 Getting these items done will assist you in getting through the week without having to do a full laundry haul today. Later in the week you can continue with the rest of the laundry items. Prep your meals: Meal prepping is not just for the fitness mafia or smoothie kings. Meal prepping can be simple and easy. You can also prep more than just your lunches and dinner. Many people skip breakfast because they say they just don’t have time time. Who wants to crack an egg and deal with a skillet at 7am? No one. Prepping oatmeal or eggs in muffin tins for quick mornings is a perfect time saver. Some of my favorite go to snack/lunch items for my toddler are spinach and cheese tortellini’s. These just take a few minutes in a pot of boiling water. I boil them up and then toss them in a tupperware so they are ready for a quick 30 sec mic session when ready to be eaten. My husband can go through a bag of chips or trail mix in one sitting. In order to keep this from happening and to make lunch packing a quicker process I take about 3/4 cup and place them in the snack size ziploc before putting it into the pantry. Make your lists: Completing a weekly to do list, grocery list and schedule(s). This enables you to prioritize your errands and determine your weekly schedule. Making your grocery list before shopping allows you the time to check online and in the paper for deals and BOGO’s. Knowing the weather allowed you to know what days were available for outdoor activities. Apps such as Ibotta,(link here) allow you to select the items that you intend to purchase and add them to your cart. When you get home scan your receipt showing you indeed did purchased those items. Within 48hrs the rebate is added to your account. It really is that easy! You can cash out thru PayPal or even chose to get a giftcard to stores likes BestBuy or Starbucks instead. Clean out your fridge & do your grocery shopping: Before doing your shopping and bringing in new products and items, ensure you have fresh items still available. Things that you use often may need to be refilled (update list) and products you barely used may need to be taken off your list. Check your expiration dates on items and wipe all your shelves clean. If this is done often it needs less work. Hey Jennifer! Thanks for checking out BP!